Lovely, leafy Chiswick is a charming apparently rather sedate suburb in West London. Its main street, Chiswick High Road, is lined with tall trees and the wide pavements are thronged with shoppers and evening diners. But, as in the best crime fiction, all is not as it appears. 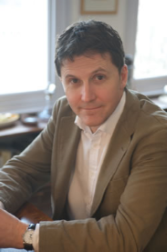 Just go to one of the occasional evenings at Chiswick Library when selected crime writers are invited to talk about their books and a rather different picture appears. This time, three crime writers, William Ryan, Anna Mazzola, and S.J. (Suzi) Holliday, donned their witches’ hats, mounted their broomsticks, whirled through the darkening air and surged into the children’s section of the Library, accompanied by the usual throng of evil spirits, malevolent presences, clanking chains, unseen wailing voices, and things which go bump in the night. Anna Mazzola’s second novel, The Story Keeper (published by Tinder Press, 2018, ISBN: 978-1472234780) is set on the Isle of Skye in 1857 when the island was devastated by the Highland Clearances. Audrey Hart is collecting local tales and legends but finds that the islanders are sullen and hostile and unwilling to speak. And several local girls have disappeared; the islanders believe that they have been abducted by evil spirits in the shape of birds. Then Audrey finds the body of one of the girls on the seashore and is drawn into this world of fear and superstition which is connected in some way to the death of her mother many years ago. Anna does extensive research for his novels; this one was based on the disappearances of young girls in London but since this was also the era of Jack the Ripper she decided to move her story to the even more atmospheric Isle of Skye. For her, she said establishing atmosphere was all-important. Suzi Holliday’s novel, The Lingering (published by Orenda Books, 2018, ISBN: 978-1912374533) is set in the present day in the desolate and mysterious Fen country of East Anglia. A married couple, hoping to escape their troubled pasts and make a fresh start, move to a commune in what had been a psychiatric hospital with a disturbing history. The story is at the same time a locked room mystery, a chilling thriller and a dark and complex ghost story which has been described as both creepy and chilling. 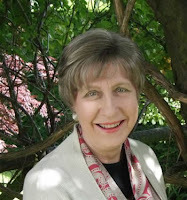 For reviews of Suzi’s previous novels see the Mystery People website. 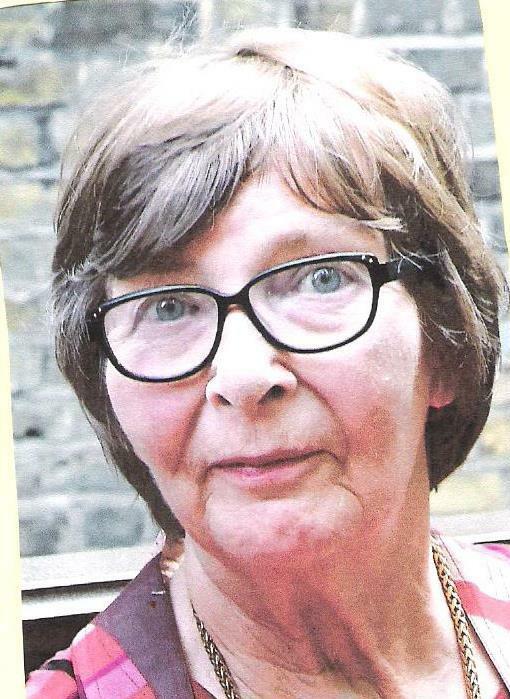 She told us that as a child she had read a lot of horror writers such as Steven King. In the general discussion that followed not just the three writers but also members of the audience described their encounters with ghosts and other paranormal presences. London is full of ghosts; not surprising when you consider how many people have lived (and died) in the nation’s capital. There is apparently even a ghost in the basement of Chiswick Library! I had already, in the course of my reading for Mystery People, become aware that recently there have been titles published which deal with some aspect or other of the supernatural. Is this the start of a new genre which will run alongside of the all-powerful psychological suspense/domestic noir? Certainly it will give scope for writers to demonstrate feats of imagination beyond those required of all fiction writers. It will be interesting to see what results. Clea Simon has been writing for a while; this is by no means her first rodeo. It is, however, the first in a new series about a witch (in training) in Cambridge, Massachusetts and her three felines. Becca is the only woman who has actually “done” any magic: she conjured up a very nice gold velvet pillow, complete with tassels. The members of her coven are all agog, and to one degree or another, jealous, skeptical, curious, and varying other normal emotions. The lone male warlock, Trent, is quite interested. Becca just isn’t sure what is piquing that interest. Is it her magical skills (so far, confined to this one cushion) or her feminine attributes? She is recently single, and also unemployed - so one plus, one minus. Suzanne, one of the other members of the group invites Becca over to discuss something private. Becca meets Nathan on Suzanne’s doorstep; he’s gone before Becca discovers Suzanne’s dead body. Becca’s ex-boyfriend Jeff calls her just as she approaches Suzanne’s open door. What are the chances that both the meeting and the call are purely coincidence? Is it relevant that Jeff was, until very recently, dating Suzanne? Detective Abrams has lots of questions, about all of this and more. In the meantime, Becca is job-hunting with the help of some other members of the coven. Is it relevant that one interview is with the ex-husband of one of the group? Apparently not to Larissa, who fails to mention this possibly salient fact to Becca before the interview. What is Nathan doing at the interview site? Competition? Does any of this have to do with Becca’s ancestor, once caught up in a witch trial back in the dark times in Salem? Becca’s skills as a researcher come in handy as she tries to figure out who killed Suzanne and what her connection was to the Salem ancestor. What Becca doesn’t know (and neither does anyone else in the story) is that all the magic belongs to her cats, three sisters from an old and royal feline lineage. Clara, the youngest, is the narrator, with interruptions and interjections from Harriet (the oldest) and Laurel (the middle child). It was Harriet, always in search of physical comfort and food, who conjured up the pillow. Clara seems to use the most magic in this story, however; she uses her ability to blend into her surroundings in order to follow Becca all over town. She and her sisters, to varying degrees, are vested in Becca not being arrested for the murder of Suzanne. As I said, Simon isn’t new to writing mysteries. 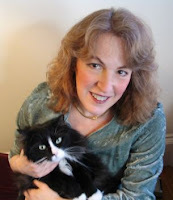 If a reader has no issues with domestic animals as narrators (fans of Rita Mae Brown and Spencer Quinn will know whereof I speak) then Clea Simon’s new series may be just the thing. The plotting is good, with enough leftovers to fuel a few more books. Cambridge is just about the perfect setting for a historical researcher interested in witches and the like. The romantic angles alone can keep this going for a while. Simon writes well enough to keep all the cats separate in the mind of the reader, and also does this for the numerous secondary characters. Again, enough there for at least two or three more books. Great fun for lovers of the cozy mystery. 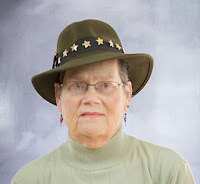 Clea Simon is the author of the suspense novel World Enough four mystery series, and three nonfiction books. Her new, darker Blackie and Care mystery series starts with The Ninth Life and continues with As Dark As My Fur and Cross My Path (Severn House). 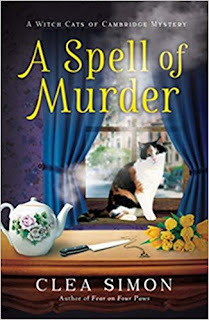 The Theda Krakow mystery series was launched in 2005 with Mew is for Murder and continued with Cattery Row, Cries and Whiskers, and Probable Claws (Poisoned Pen Press). Her Dulcie Schwartz series launched in 2009 with Shades of Grey and continues with Grey Matters, Grey Zone, Grey Expectations, True Grey, Grey Dawn, Grey Howl, Stages of Grey, Code Grey, and Into the Grey (Severn House). The Pru Marlowe pet noir series started with Dogs Don’t Lie and continues with Cats Can’t Shoot, Parrots Prove Deadly, Panthers Play for Keeps, Kittens Can Kill, When Bunnies Go Bad and Fear on Four Paws (Poisoned Pen Press). A Spell of Murder is the first in a new series featuring the Witch Cats of Cambridge. The recipient of multiple honors, including the Cat Writers Associations Presidents Award, she lives in Cambridge, Massachusetts, with her husband, Jon Garelick, and their cat, Musetta. Rural Scotland may be sparsely populated, but it seems its villages are a hotbed of hatred, rivalry and all manner of nefarious doings. Forsich, on the edge of a boggy, inhospitable region known as the Flow Country, is no exception; rancour going back years is aimed at Patrick Curran, whose failed business damaged a lot of people. 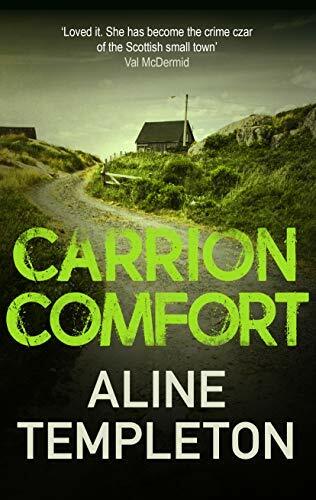 Curran is dead, but his daughter Gabrielle has inherited both his new business and the resentment of the community – and now a body has been found mutilated by ravens, in a ruined croft house on a remote farmstead. At first it appears to be a rough sleeper who died of natural causes, but it soon emerges that he drowned, and not by accident, and that he was well known in the community. Enter Kelso Strang, the head of Police Scotland's Serious Rural Crimes Initiative, despatched to unravel the mystery. He soon learns that Niall Aitchison, the dead man, also came in for his share of the bad feeling surrounding the Currans. As a fine tangle of connections and relationships emerges, Kelso Strang has to put his personal issues aside and plot a careful route between the various factions, and also around the senior detective of the local police force, who is none too happy to have Strang parachuted into a potentially high-profile case despite his own obvious incompetence. Strang's life is made harder still when the only available support from his home turf takes the form of a self-satisfied detective sergeant more interested in filling his stomach than solving crimes, and Constable Livvy Murray, now a DC, who caused him considerable hassle on his previous murder investigation. Once again Aline Templeton has created a cast of characters who could step off the page into real life; I warmed to Gabrielle and despised her sister Francesca, loathed company CEO Bruce Michie on sight and felt unexpectedly sorry for unappealing cafe owner Morven Gunn; and I couldn't help but adore Strang's small but forceful niece Betsy on sight. I felt I could touch, smell and almost taste the bogland around the village, and found it easy to visualize the various different houses where the action unfolded. There's an obvious culprit, but in crime fiction it's never wise to let the obvious blind you to the undercurrents; misdirection is another of Templeton's many skills. I think I fell a little in love with DCI Kelso Strang during the first of the series, and Carrion Comfort only served to make me want to see a whole lot more of him. Aline Templeton grew up in the fishing village of Anstruther, on the east coast of Scotland not far from St Andrews. The memories of beautiful scenery and a close community inspired her to set the Marjory Fleming series in a place very like that – rural Galloway, in the south-west of Scotland. 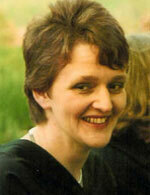 After attending Cambridge University to read English she taught for a few years. She now writes full-time and lives in Edinburgh in a house with a balcony built by an astronomer to observe the stars, with a splendid view of the castle and the beautiful city skyline.